As long as pickup trucks keep dominating sales charts, automakers will continue developing new features to give their products an edge over the competition. The latest battleground? Trick tailgates. 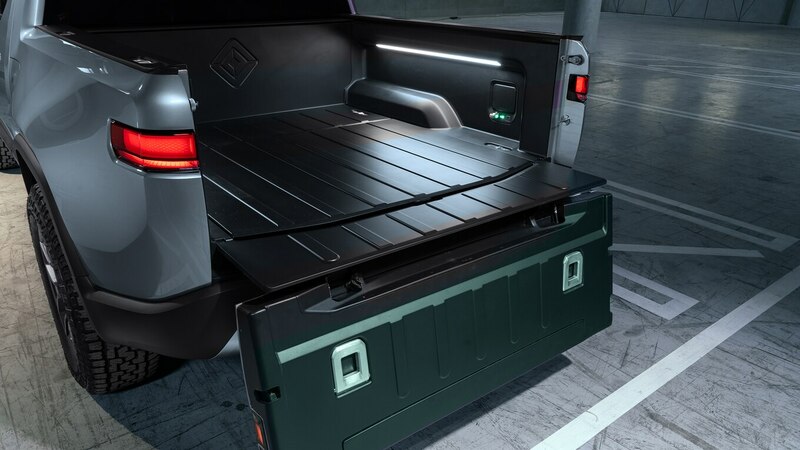 GM recently took tailgate tech to a new level with its MultiPro tailgate available on the GMC Sierra 1500 and HD. 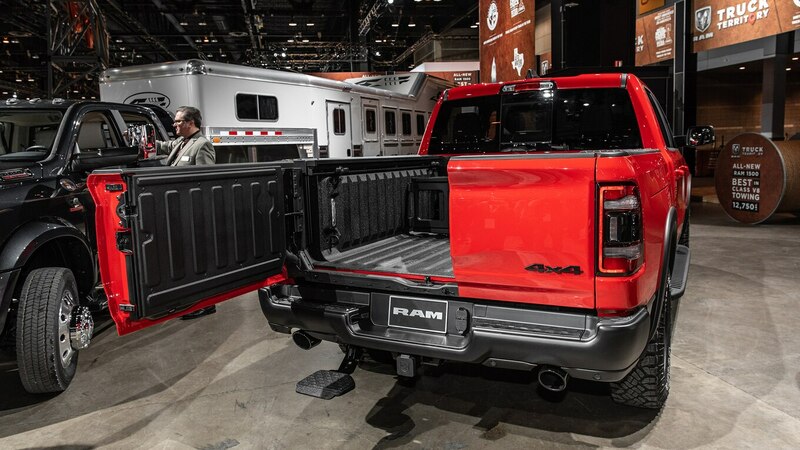 Not to be outdone, FCA just introduced its Multifunction tailgate on the 2019 Ram 1500, which can drop down like a traditional tailgate or split open like barn doors. 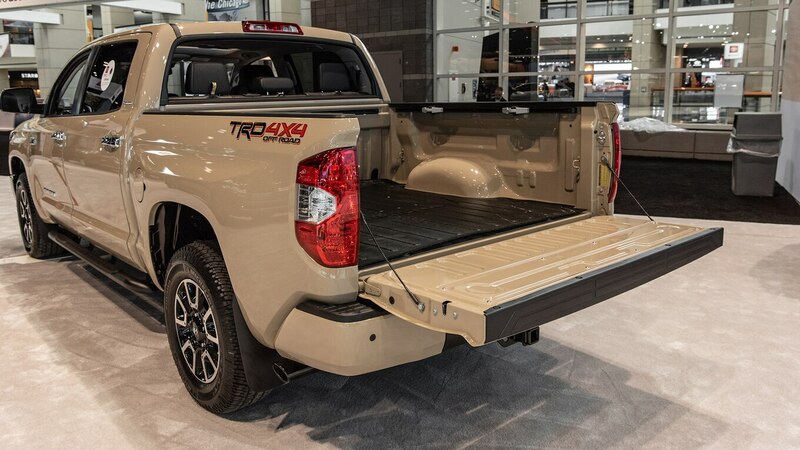 Given these new tailgate innovations, let’s take a closer look at the options truck brands offer today. The big tailgate news from Ram is its $995 Multifunction option. The tailgate is split 60/40, and the side-hinged doors can swing out up to 88 degrees for easier access to the bed, especially when you opt for the $295 retractable center step. This is a boon for accessing the bed while a trailer hitch with a vertical tongue jack is attached. Alternatively, you can drop it like a regular tailgate, which can still support 2,000 pounds. The feature is cool, but it does add weight. Ram tells us the Multifunction tailgate weighs 75 pounds more than the standard gate, though there is damping when you drop it vertically. The side-hinged doors have detents to prevent them from swinging too far. Just like Ram’s Multifunction gate, the MultiPro adds weight, though not quite as much. Compared to the base tailgate, MultiPro is 51 pounds heavier on the Sierra 1500, and 20 pounds heavier on the Sierra HD. A torsional spring and damper assists with opening and closing, however. Ford has offered its integrated tailgate step for years now, which means the design has had plenty of time to prove its durability. The option, offered on both the F-150 and Super Duty, includes a spring-loaded ladder step that extends from the top of the tailgate and drops down. The gate also has a vertical handle bar that telescopes out the top and folds up. The step adds 46 pounds to the tailgate, and Ford says the feature includes a lift assist feature to help compensate for the extra weight. 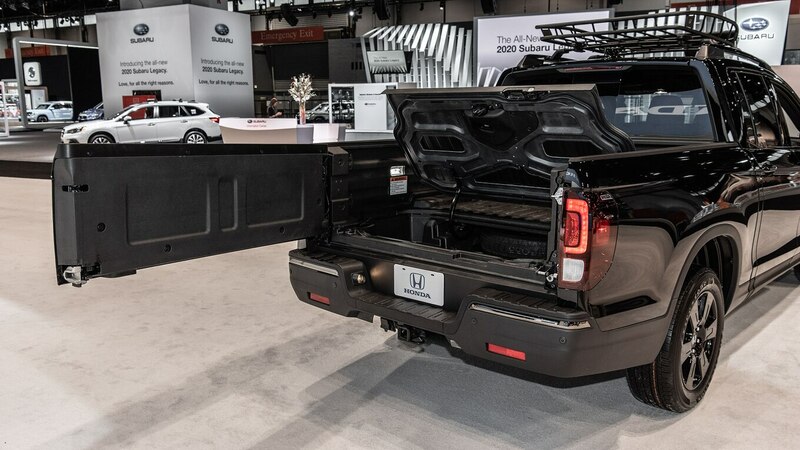 Like the F-150’s tailgate steps, the Ridgeline’s Dual-Action tailgate goes back many years and borrows the tailgate design first offered on station wagons in the 1960s. 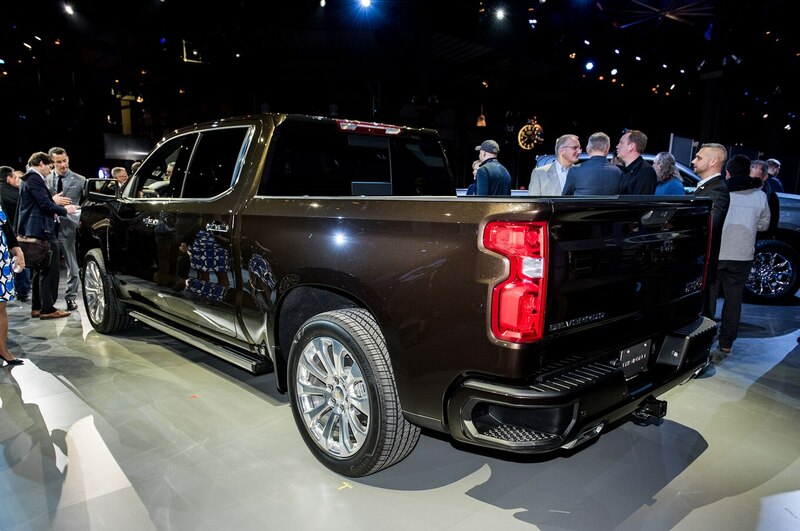 Originally offered on the first-gen Ridgeline, the current iteration includes a tailgate that can drop down normally or swing open thanks to hinges on the driver’s side. The latter method allows easier access to the In-Bed Trunk, a secret storage compartment beneath the floor of the bed. Both features come standard on the Ridgeline. 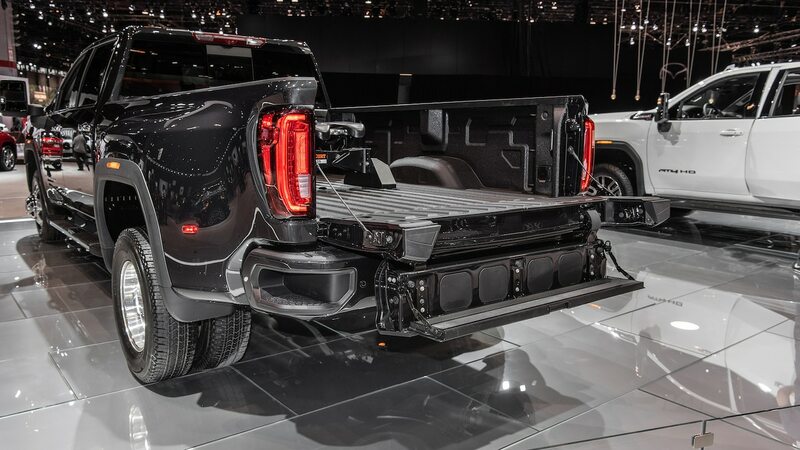 GM plans to keep the MultiPro tailgate exclusive to its “professional grade” brand, but Chevy at least gets a consolation prize. 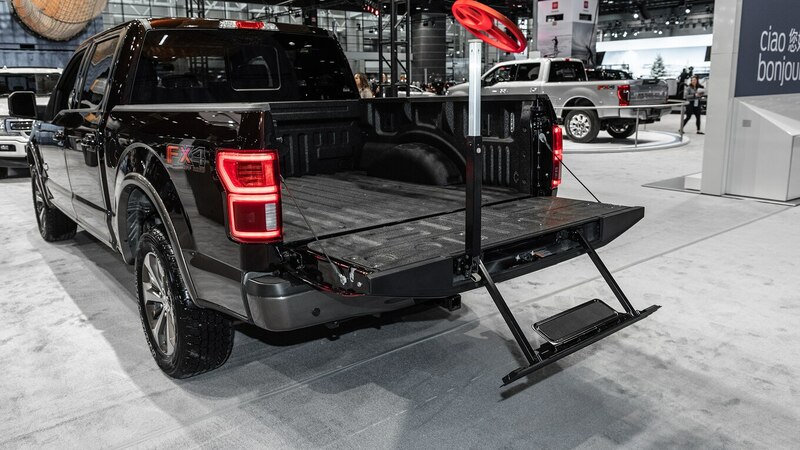 The 2019 Silverado 1500 and 2020 Silverado HD both offer a power tailgate that can lift and lower the tailgate at the push of a button on the key fob (or inside the truck). The tailgate is made out of aluminum to offset the weight of an electric motor and power latches. The power up/down tailgate is standard on the High Country trim of the Silverado 1500, and available on the LTZ as part of the $1,550 convenience package. Rivian R1T: Tailgate of Tomorrow? Although Rivian hasn’t built a single production model yet, it has a very interesting concept in the R1T electric pickup truck. In addition to a handy pass-through compartment just aft of the rear doors, the R1T features a tailgate that can open 180 degrees to allow easier access to the bed. Just like the Silverado, the tailgate can lift and lower at the push of a button. Now Rivian just has to build it. Apart from the Ridgeline, the midsize truck class doesn’t offer much in the way of tailgate tech. The same is true of a few full-size trucks, like the Nissan Titan and Toyota Tundra (pictured above). Many companies offer mechanical assistance with torsion rod setups, which lower the tailgate slowly and aid in lifting. Other than that though, the average tailgate is going to be pretty basic. Check out the gallery for an idea of what you can expect, and to further illustrate how far tailgates have come. The post Tailgate Wars: Ram vs. GMC vs. Ford and More appeared first on Motortrend. Z Money, Gucci Mane & Hoodrich Pablo Juan Unite for "Millions"